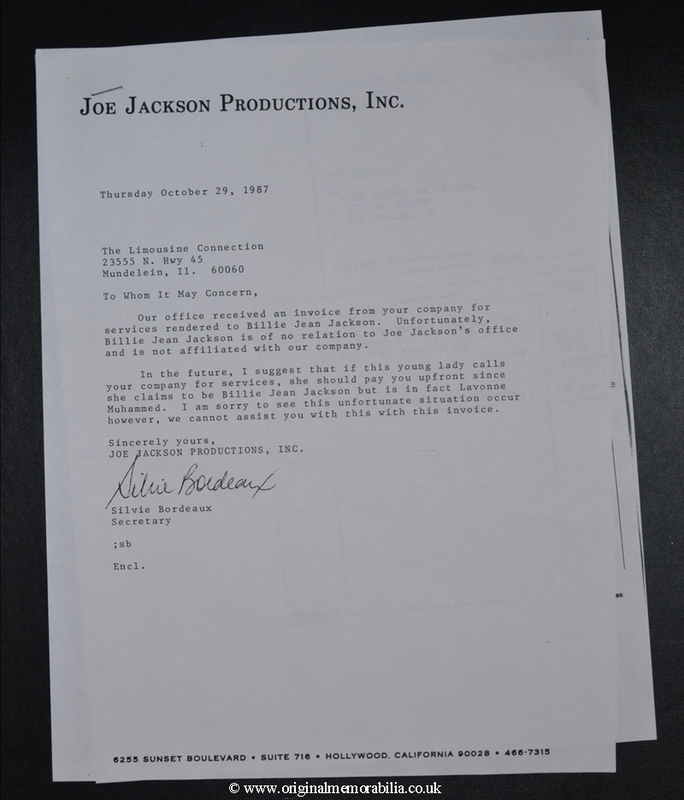 Billie Jean Jackson Letter An intriguing piece of Michael Jackson memorabilia straight from the files of the Jackson family. A 1987 letter regarding a young lady masquerading as Billie Jean Jackson. An intriguing piece of Michael Jackson memorabilia straight from the files of the Jackson family. A 1987 letter regarding a young lady masquerading as Billie Jean Jackson. An intriguing piece of Michael Jackson memorabilia straight from the files of the Jackson family. 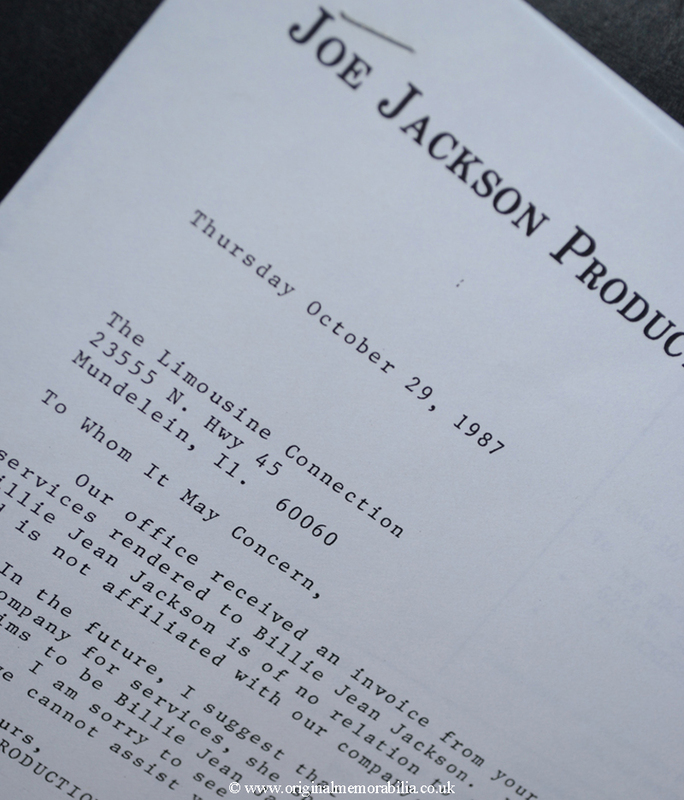 A 1987 file copy of a letter and invoice regarding a young lady masquerading as Billie Jean Jackson. 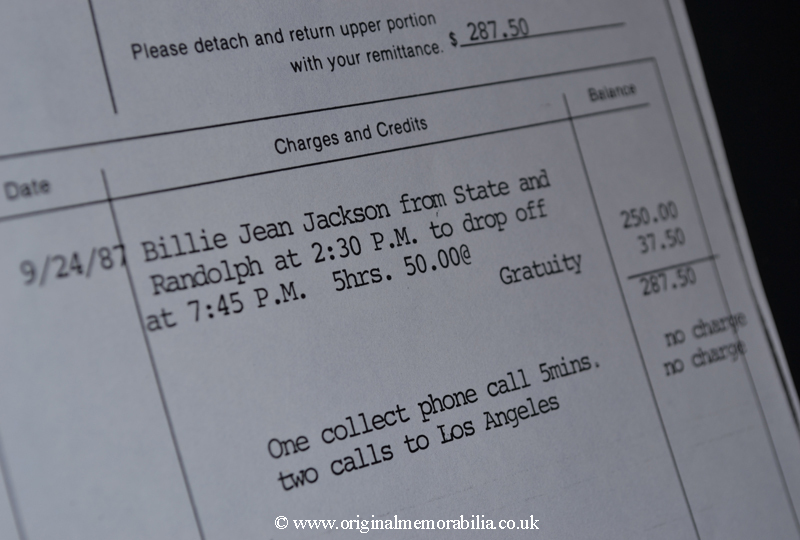 Billie Jean secured 6 hours of limousine services around Los Angeles and charged it to Joe Jackson productions. The letter politely refutes the charge and advises the limousine company of the real name of the individual in question.